The gut microbes of dairy cows are strongly associated with their health, but the relationship between milk production and the intestinal microbiota has seldom been studied. 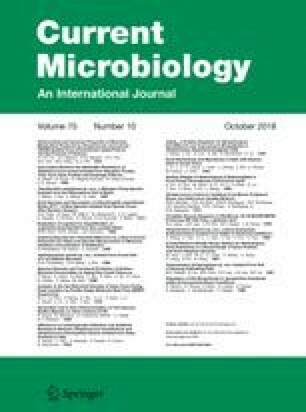 Thus, we explored the diversity of the intestinal microbiota during peak lactation of dairy cows. The intestinal microbiota of nine dairy cows at peak lactation was evaluated using the Pacific Biosciences single-molecule real-time (PacBio SMRT) sequencing approach. A total of 32,670 high-quality 16S rRNA gene sequences were obtained, belonging to 12 phyla, 59 families, 107 genera, and 162 species. Firmicutes (83%) were the dominant phylum, while Bacteroides (6.16%) was the dominant genus. All samples showed a high microbial diversity, with numerous genera of short chain fatty acid (SCFA)-producers. The proportion of SCFA producers was relatively high in relation to the identified core intestinal microbiota. Moreover, the predicted functional metagenome was heavily involved in energy metabolism. This study provided novel insights into the link between the dairy cow gut microbiota and milk production. The online version of this article ( https://doi.org/10.1007/s00284-018-1526-9) contains supplementary material, which is available to authorized users. We would like to express our gratitude to Professor Heping Zhang for his support, particularly for providing facilities to perform this work. Never forget why you started, and your mission can be accomplished. Funding was provided by National Natural Science Foundation of China. TS and ZS designed the study. WL and JL collected samples. FZ and YL processed. HM and YW sequenced samples. WL and QH analyzed the data. WL, JY, and LK wrote the paper. This research was supported by the Science and Technology Major Project of Inner Mongolia Autonomous Region.